We may not be in Venice, but the Brisbane River comes close! 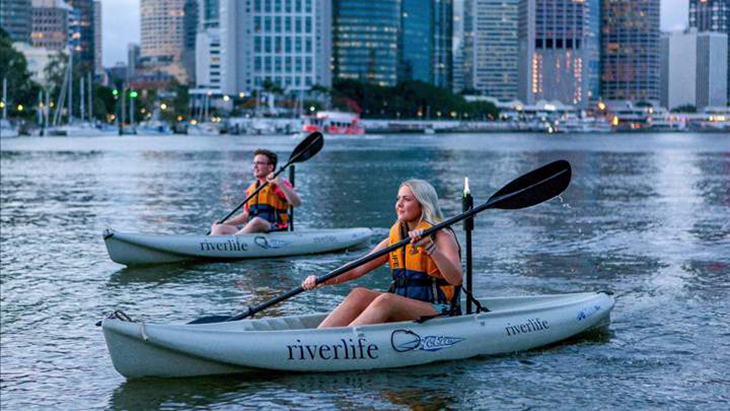 Take an instructed night kayak on the iconic Brisbane River, enjoying spectacular views of the sparkling city lights. On return, enjoy a delicious BBQ buffet at one of the riverside venues, washed down with a selection of Australian beer and wine, or a celebratory sparkling wine. The perfect surprise for the adventure couple on a low-key local scale! Head to the Riverlife website for more info. No plans for the night whether you’re single or attached? Don’t stay home with dampened spirits… get into spirits! 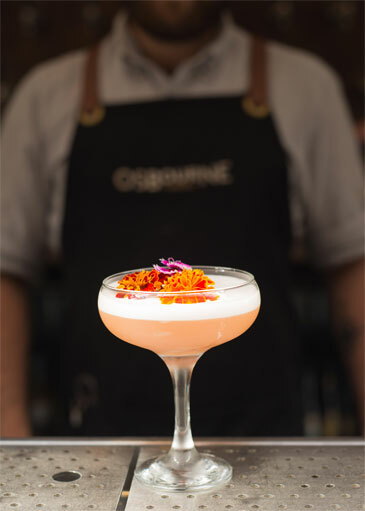 Mix it up this Valentine’s Day with ‘Our Cocktail Course’ at the Osbourne Hotel. Learn the art of mixology and be led through a fun 1.5-hour cocktail lesson where you’ll shake, stir and muddle your way through three modern and delicious cocktails led by our awesome bartenders. Bring your bestie or your bae for the perfect opportunity to impress them with your bar skills, then sip on your own cocktail creations over your shared entrée board. Tickets are only $45 per person and available to purchase online. What’s a bit of friendly competition between lovers or friends? Challenge your (better?) half to a game of Mini Golf at Holey Moley in the heart of Fortitude Valley. Mini golf I hear you say, how predictable? But take it from us, Holey Moley isn’t your typical mini golf course, with twists and turns and a side of cocktails served all night long you’re sure to be in for some fun. Wednesday night is ‘Bread & Putter’ from 5pm where you can buy one round and get one free… which means more time to chat up your honey (or just to redeem yourself from the first round). Head to their website for more info. Looking for the wow factor to really spoil your special someone this Valentine’s Day? Look no further than the Osbourne Hotel’s decadent three-course experience for only $65 per person. You and your loved one can indulge in a glass of G.H Mumm Rosé on arrival, plus choice of entrée and main, followed by dessert to share. Immerse yourself amongst the leafy surrounds and enjoy ‘Love Song Dedications’ by Nick Trovas. You’ll be feeling like you’re straight out of a Nicholas Sparks novel in no time. Table bookings are essential, call 07 3252 9833 or book online. 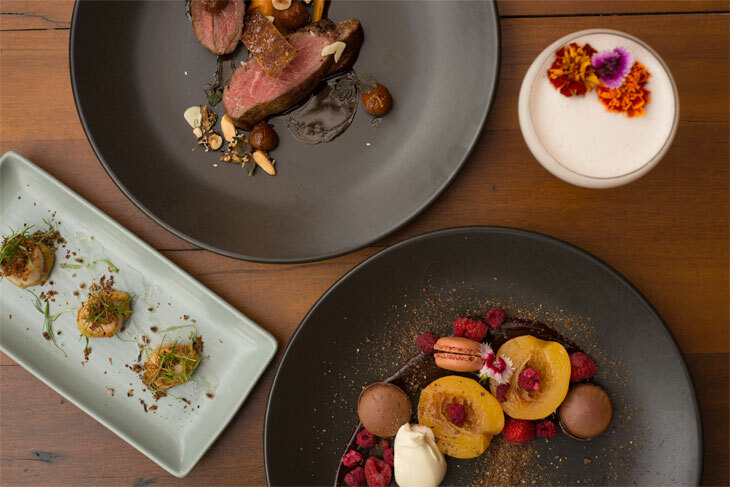 Overindulged in a loved up dinner in the Valley? 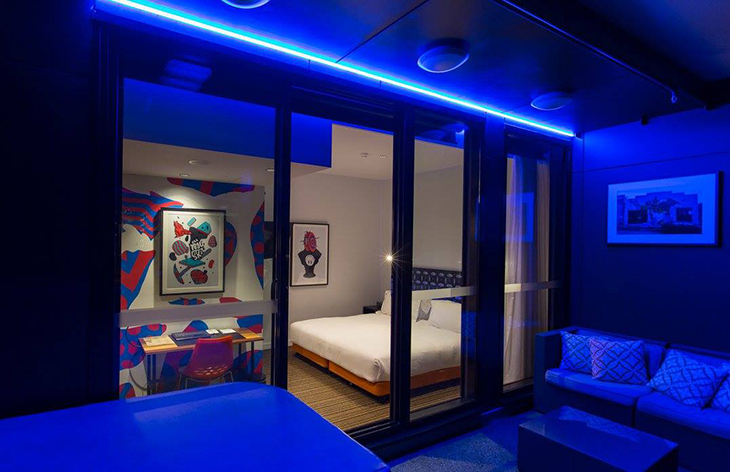 Instead of heading home, head over to our neighbours at TRYP Fortitude Valley Hotel and check-in for a romantic night away. Snuggle up to your loved one as you enjoy all the necessary ingredients for the perfect date night in. Did we mention some rooms have an outside hot tub? That’s sure to get things steamy. Book your package online now. Broke student life got you in a tight spot? Or simply looking to save a few bucks this Valentine’s Day? Then head straight to Roma Street Parklands this Valentine’s Day for a night under the stars with someone you love. 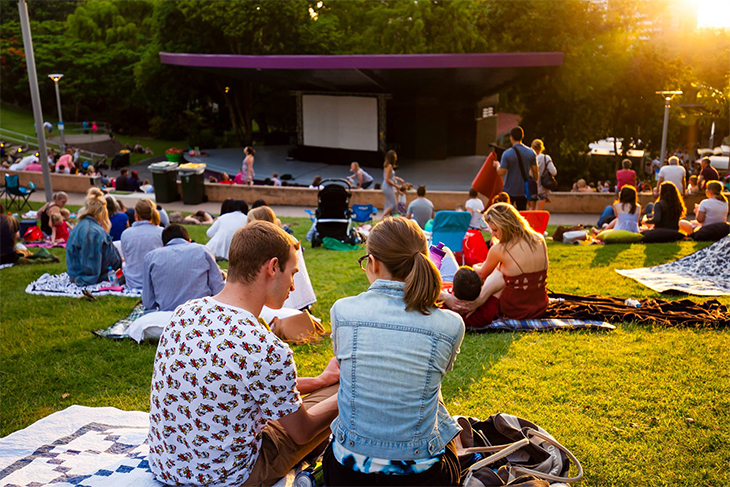 Pack a picnic rug and relax under the warm summer night sky as you catch the free screening of the ever-popular romantic comedy, ‘Crazy, Stupid, Love’ (M). BYO gourmet picnic treats or grab something from the various onsite food vendors – who will keep you fed until late. Head to the website for more info. No need to stress now, we’ve done all the planning for you. Now all you have to do is grab your loved one or best friend and enjoy Valentine’s Day in the river city! 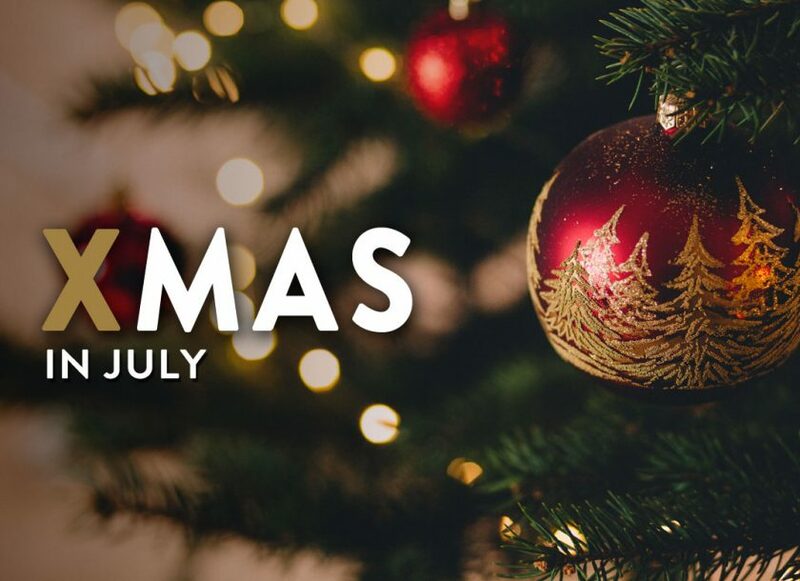 Party or feast at the Osbourne Hotel with two amazing Christmas in July packages on offer to enjoy the cooler months (and party like the Northern Hemisphere).